Writing a blog post is not an easy task. It takes several hours of writing and editing until you come up with something worth reading. After you have run through your post several times, corrected all the grammatical mistakes you can find, then it’s time to publish your post on the internet, but there’s that weird feeling inside you that says “not yet”, a perfectionist inside you telling you that there’s more that you can do to your blog post to make it even more amazing. Now, normally I’m against perfectionism. I don’t like the idea of spending hours upon hours doing cosmetical changes, but there are things that you can do to make your blog post stand out and it’s definitely worth spending time on that. So, I want to share with you 9 tips to write a better blog post. Headline is the most important part of a blog post. It seems logical to spend more time on writing a good headline, but what usually happens is you get an idea for a blog post, you write whatever headline came to mind, you then write the blog post and click publish without thinking too much about it. Chances are that the first idea you got isn’t that good. Also, sometimes you have one idea for the blog post, but once you start writing you drift to a different topic and in the end the headline doesn’t even match the blog post. If you have a poor headline you won’t attract nearly as many readers as you could have. If you write a confusing headline the people that you manage to attract won’t be interested to read what you have written. And in the end what’s the point of writing a blog post if it doesn’t get read? So, how do you write a great headline? Make sure the headline fits the content. Simple headlines like “How to do X” or “10 tips to help you with X” work fine. Learn from the best. Check out a site called Upworthy.com. What they focus on is so, called “click bait” headlines. They are extremely compelling and once you read the headline you are hooked and want to find out what it’s all about. Now, if you are creating content that’s meant to provide information, then headlines like these won’t be a good fit for you because there’s nothing shocking about 9 tips to write a better blog post, but you can apply some of their techniques anyways. Use your mind and think for several minutes, what would be a good headline for this post. You should come up with several headlines and pick the one that you like most. Chances are that you are using some images in your posts. Gone are the days of plain and boring blocks of text. Yet, you are probably not using enough images if you only add one image at the top, then you need to step up your game. So, start using more images, graphs, memes, etc. Bold, underline, italic. I have heard some rumors that these buttons help with SEO, but I think it’s BS. Why you should be using them is again for a better user experience. 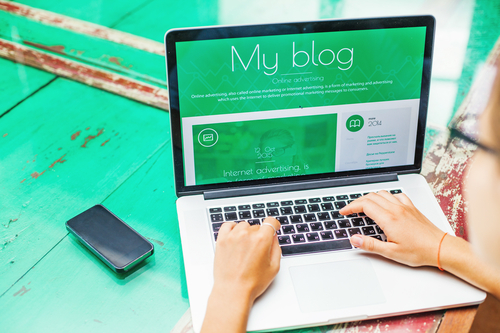 You don’t want your blog post to look like a big block of text. You want to use BUI to highlight certain parts, to make the text easier to read and to be easier for the eyes. A big mistake is highlighting random words or phrases. You want to highlight strategically. Think of it like this, if you removed all the text and only leave what’s bolded you should get an idea of what is the blog post about. Now, you don’t want to overdue it. If there’s nothing worth highlighting in a paragraph, then don’t. Also, there isn’t a big difference for what you use bold, underline or italics. I prefer using bold most of the time because it stands out the most. I think I should have titled this blog post “how to make sure your blog post doesn’t look like a big block of text”. Well, anyways big paragraphs are the main factor that contributes to that. If you don’t implement anything else, but this then your blog posts will be so much easier to read. The golden rule is: don’t have more than 2-3 sentences per paragraph. Simple, but effective. Having links to other content on your blog or to relevant articles on the web can provide many different benefits. Firstly, it provides more depth to your article. For example, you are explaining an advanced topic of SEO that involves using Google Analytics. Now, maybe some of your readers haven’t set-up Google Analytics, but you have explained how to do that in a previous blog post. So, instead of rewriting what you already have explained, you just link to it so, that people who need to read it could quickly access it. Secondly, by doing this you are driving traffic to your old blog posts, which increases the engagement on your site. Thirdly, having links in the content reduces the bounce rate of the page, which helps with SEO. So, put links to relevant content throughout your blog post, if you mention a website, or a person don’t be afraid to link to it. Pro Tip: Set up the links that they would open the pages in new tabs so, readers won’t lose your article. If you can, always try to insert lists and/or bullets into your blog posts. The benefits are pretty much the same as already mentioned. It sticks out. It’s easier to read. Gives a place for the eyes to rest. Quoting an authoritative person in your niche and linking to him can bring a lot of benefits. It gives more authority to your content and makes your arguments more compelling. Also, it’s a good outreach strategy. If you quote someone in your post and then shoot him a message that he was featured, the person is very likely to share the blog post to his following and drive traffic back to you. Headings are as important to readability as it is to SEO. Headings help to breakdown your blog post into small easy to read pieces. A good heading is like a headline that hooks the reader to continue on and it also tells the reader what he is going to read next. Headings also help with on site SEO. You should include different keywords you want to rank for in your headings. From an SEO standpoint it’s recommended to use all the heading tags from H1 to H6, but depending on your blog’s theme it can screw up the readability. Normally I only use H1 to H3 tags. Barely no one includes videos in their blog posts these days. Sure, not all the time you can find a complimentary video, but you should at least try. Video is the first thing that’s being looked at on a page and it greatly increases the time on site. People enjoy watching quality videos and embedding them in your content can be another outreach opportunity. Once you publish the blog post let the video author know that you used his video and he might share the post. Now, if you can’t find a video that relates to your topic, you can shoot one yourself, just sharing the same info that you have on the blog post can work. By having two different formats of your content, you will appeal to a bigger audience. There is a ton of things that you can do to your blog post before publishing, but don’t get carried away and spend hours on small little tweaks. I would recommend creating a cheat sheet to list out the main things you need to check before you publish your post. What other tweaks you do to your content, that most of the bloggers forget? Let me know in the comments below.